Soft, small, foot steps that enter the bedroom, could only mean one thing on 25 December: it is Christmas! 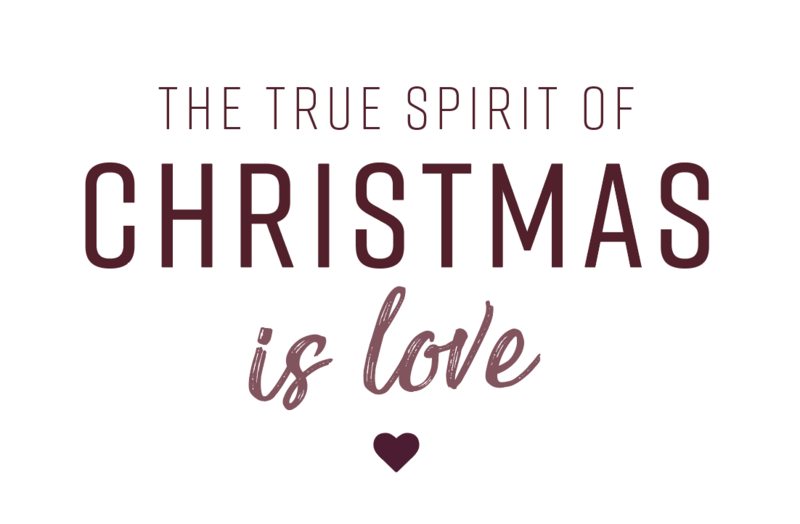 Christmas is not only a magical day for the youngest among us, adults experience the day as an extra special day of love and togetherness. The first gifts are already exchanged in bed while enjoying a cup of hot tea. What a nice way to wake up! Outside it is cold, it gets dark early, lights are shining everywhere ... from magestic tea lights to a lovely Christmas angel. 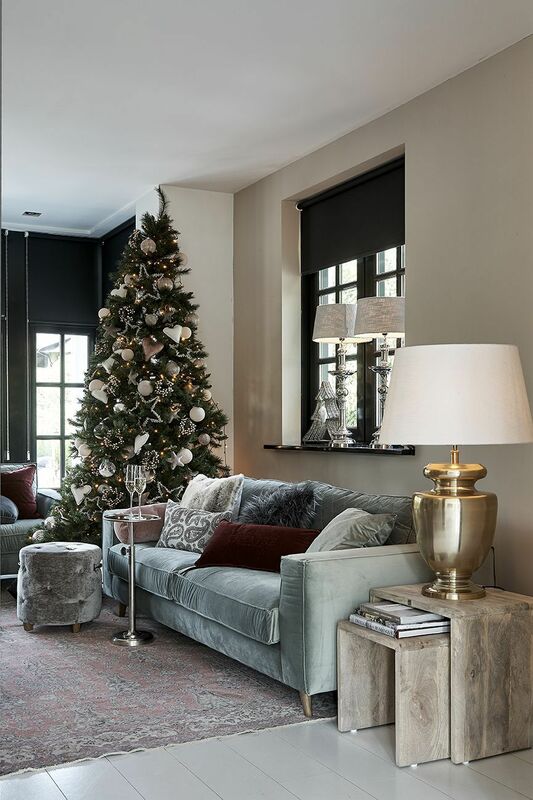 In combination with 'a touch of gold', the home becomes even more festive this Christmas. It's The Season To Sparkle Votive gold, also available in silver. 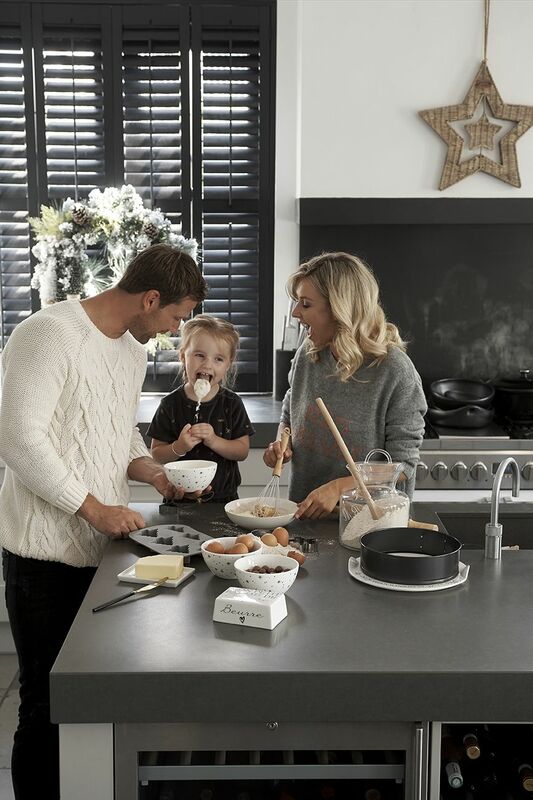 Since guests usually arrive in the afternoon, there is enough time to enjoy the family during the day. Christmas tarts must be baked and a Christmas movie with a cup of hot chocolate and something sweet, are must-haves on this day! Do not forget to light the candles and to play some lovely Christmas music, because it’s the most wonderful time of the year! Boston Harbor Coffee Table diameter: 90 cm, Stanford Hurricane large, Rustic Rattan Classic Dog Basket large, also available in small. Oh, we love all the lovely, golden details during Christmas! 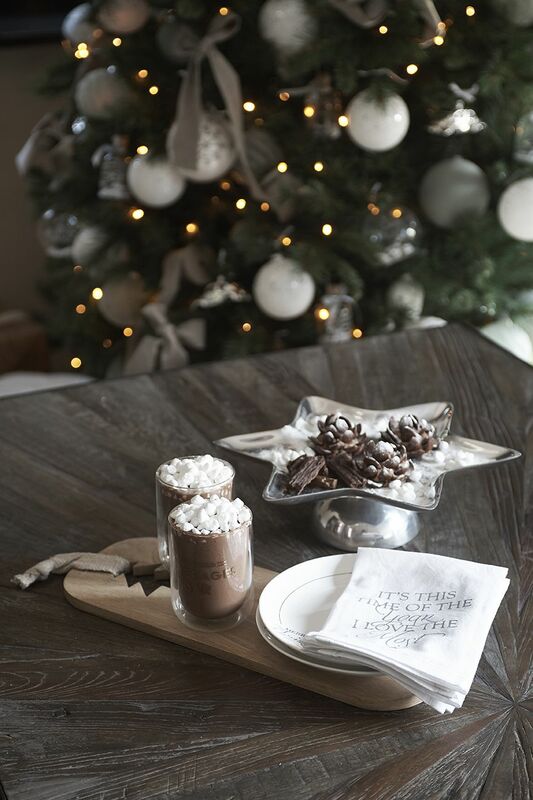 bonbons with the coffee or a nice cup of hot chocolate. 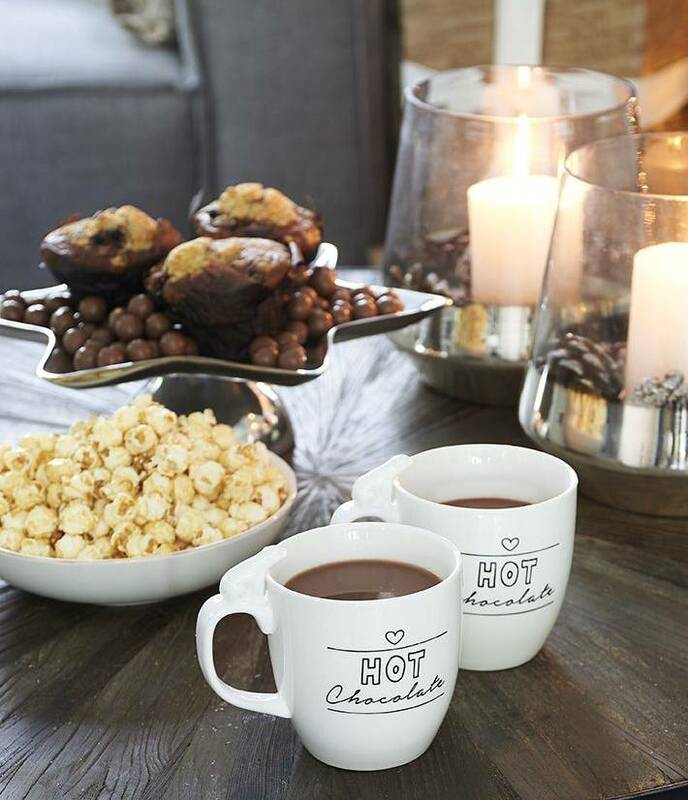 Merry & Bright Bowl, Love Hot Chocolate Mug. Every home deserves an extra Christmas corner. 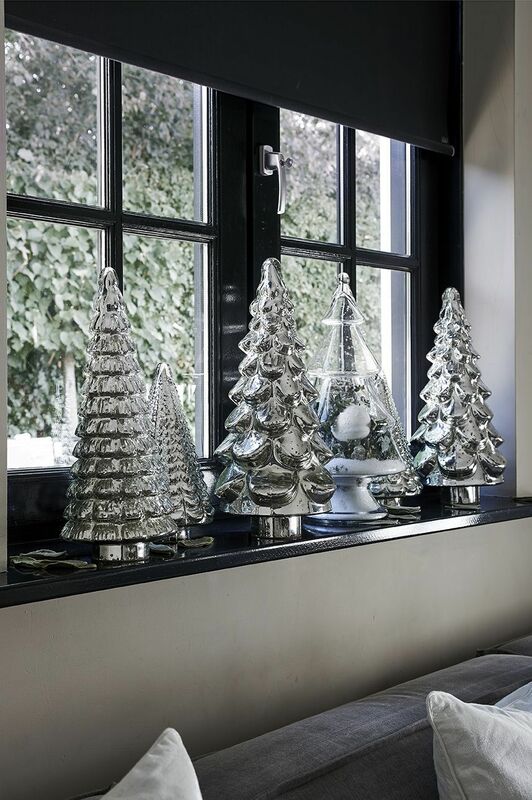 with various types of Christmas trees in silver and glass. 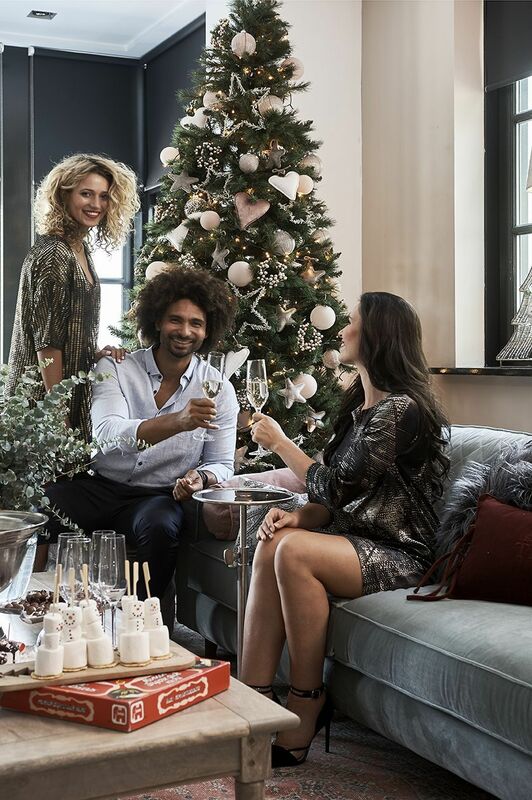 This is what it's truly about over the festive period; being together with your loved ones, enjoying each other's company and a delicious Christmas dinner in a beautifully decorated home.